I woke up unusually early to make some fresh bakes for breakkie. I always love the combination of yogurt into any baked items. Yogurt is something special that actually produces the baked ones with light, soft and fluffy texture. besides that, I reduced the sugar into 170g to make them into not-too-sweet muffins. As for the sugar crust, I used only one tablespoon instead of two. A bad idea to ‘squeeze’ them into 10 cups. 2. sift cake flour with baking soda and baking powder. 3. remove 2 tbsp of sugar and combine it with the lemon zest. set aside. 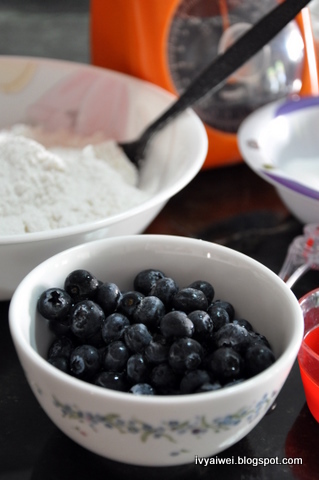 4. mix the balance of sugar with sifted flour and set aside. 5. lightly beat the eggs and combine with melted butter and yogurt. 6. portion by portion, add in the dry ingredient. 7. mix just to wet ingredient. Do not combine until very smooth. 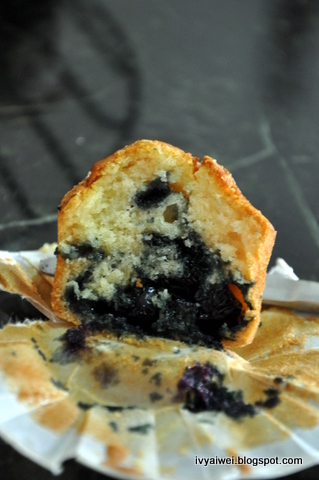 8. put in blueberries and lightly mix. Do not break the berries. 9. 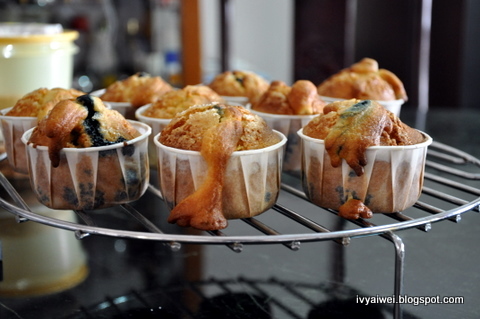 Spoon batter into 12 4oz muffin cups. Top with some lemon sugar. 10. Bake for 20 – 25 minutes or until a toothpick inserted comes out clean. eh eh..look so delicious.. can i get a bite ah? can i get one? look delicious! Gorgeous muffins. These are my favurite. I always eat them at cafes. Time to make myself. when our turn dear? hehe.. i wan fresh one too! 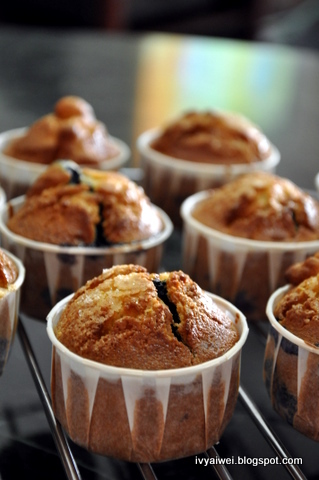 Your muffins looks good! next time organise a Food testing session.. then invite all blogger here..haha..
i still dunno how to make a cake. Prefer go n buy, easy. hehe..